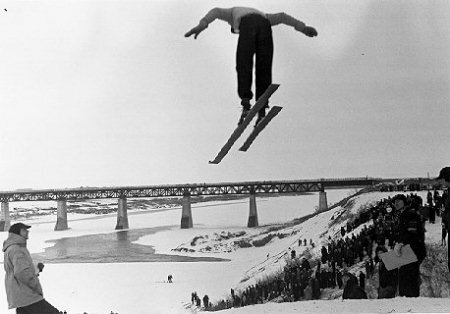 The first jump at the banks of Saskatchewan River near the largest city of the Canadian territory of Saskatchewan, which was also called “Devil’s Dip Ski Jump” because of the location near the Devils’s Dip, was built in the 1929 and used for the first club championship of Saskatoon SC in 1930. 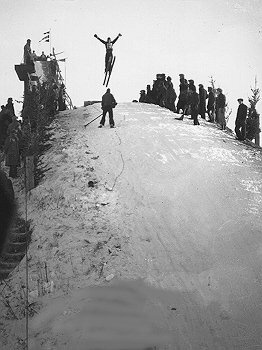 But there a ski jumper broke his leg and afterwards the ski jumping hill was immediately closed. 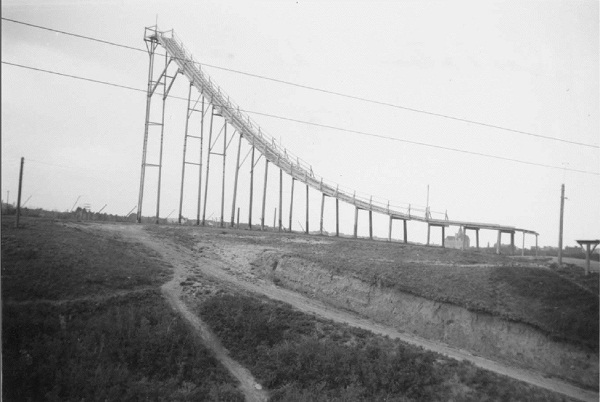 Then the next ski jump, which was called “Ski Jump Coulee”, was constructed down the river bank in 1936. 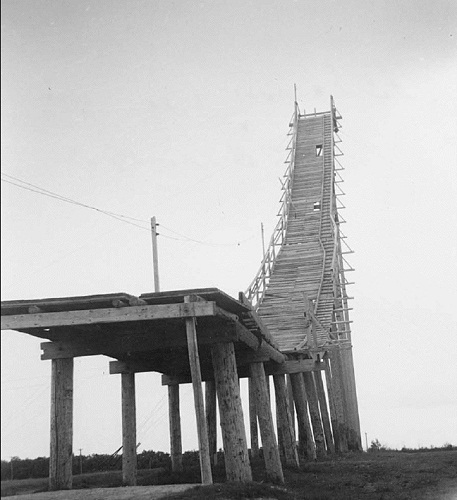 It was also made of wood and ha a 25 meters high inrun tower. 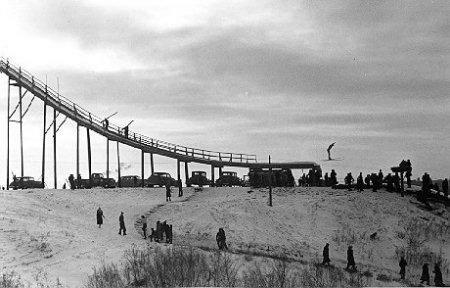 In 1971 Canadian Winter Gamed were hosted at Saskatoon and therefore a new winter sports facility was opened at Mt. 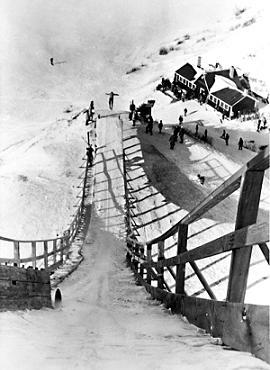 Blackstrap. 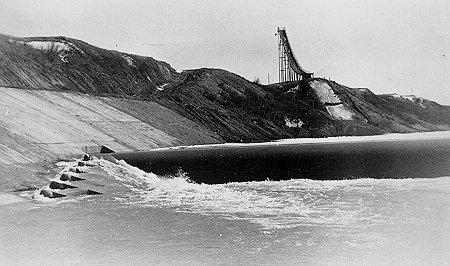 This one made the jump on the river banks redundant and after the closing in 1974 it was destructed in 1978.